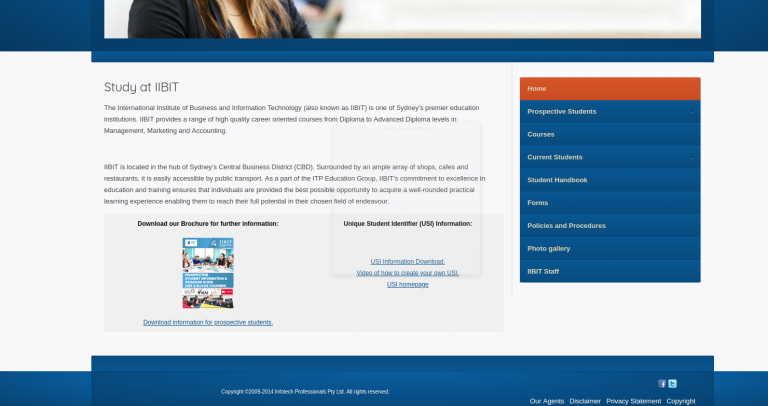 The International Institute of Business and Information Technology (also known as IIBIT) is one of Sydney’s premier education institutions. IIBIT is located in the hub of Sydney’s Central Business District (CBD). Surrounded by an ample array of shops, cafes and restaurants, it is easily accessible by public transport.